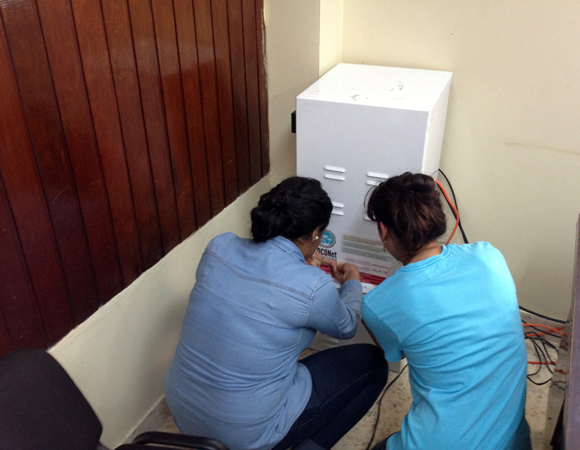 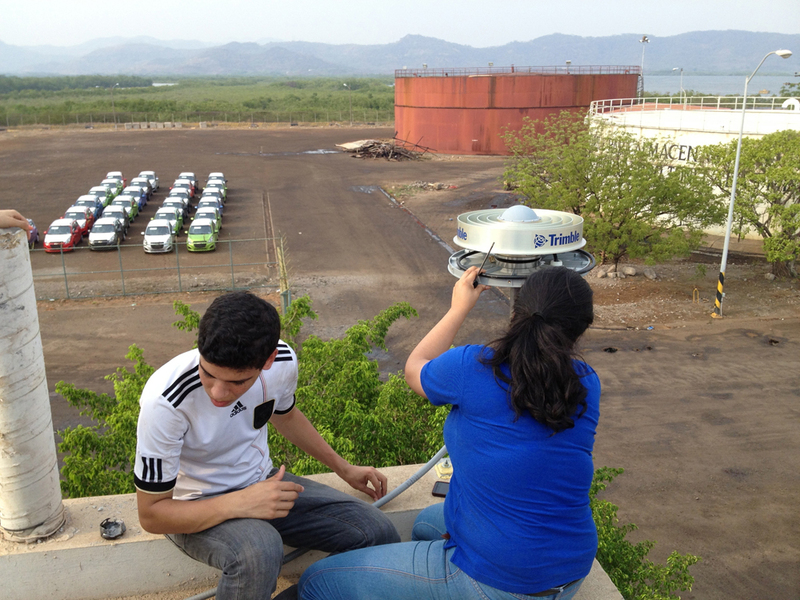 UNAVCO engineer Michael Fend, in collaboration with Fausto Ramirez and Oscar Meza of the Honduras Instituto de la Propiedad and Luis Eveline of the Universidad Politécnica de Ingeniería de Honduras (UPI), installed CN21 in San Lorenzo, Honduras. Four engineering students from the UPI also participated in the installation, to learn about cGPS. 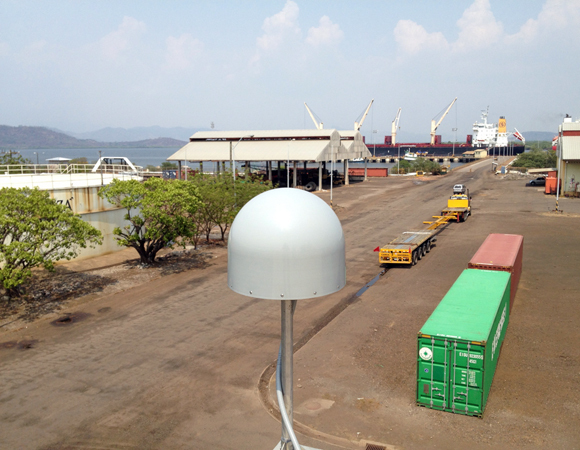 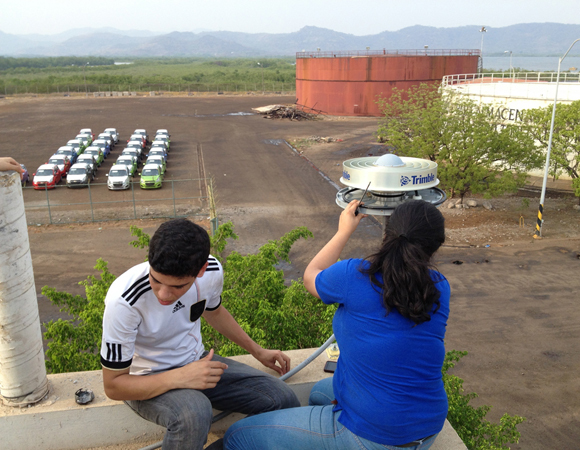 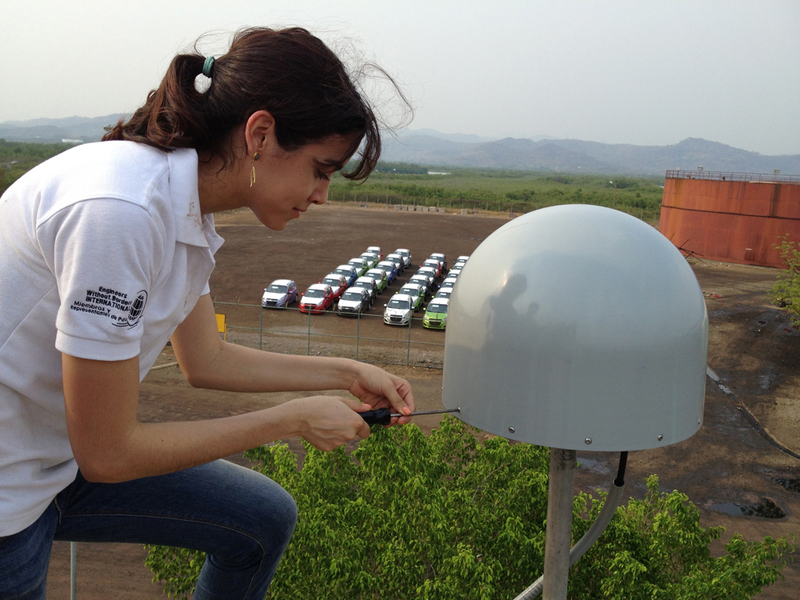 The team installed site CN21 on the roof of the San Lorenzo Port Authority building. 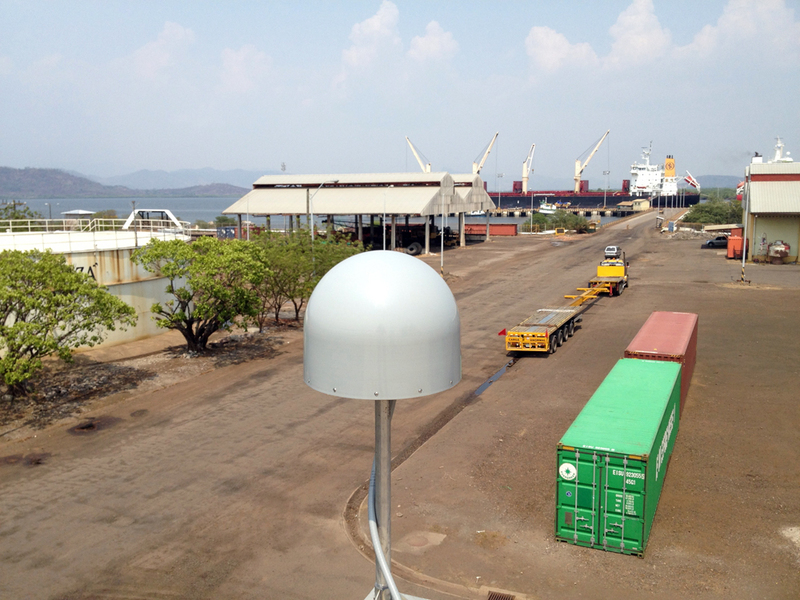 After the installation of CN21, Michael Fend and Luis Eveline finalized logistics for another COCONet cGPS site to be installed on Swan Island, Honduras, in June.